As a ferrous base metal, black iron is susceptible to rusting and exposure to harsh environments. If it is not properly maintained, this rust can perpetuate quickly and possibly cause premature failure of the product and staining of the wood. Therefore when choosing ironmongery, you should always remember that it serves a dual purpose of practicality and style for your property. So to help you keep your hardware in top condition, here’s our guide on how to maintain black iron. Black iron is a term that refers to metal with black paint on it, which provides a small amount of protection. Years ago, black iron was used on gas pipes and this is often still the case, however galvanised piping was used on waste piping. 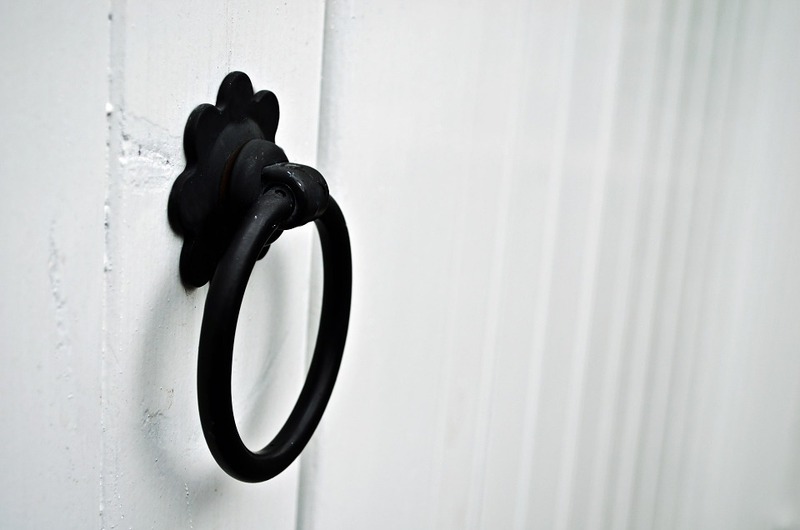 Black iron can also be referred to as ‘black rust’ and is more protective than red rust. 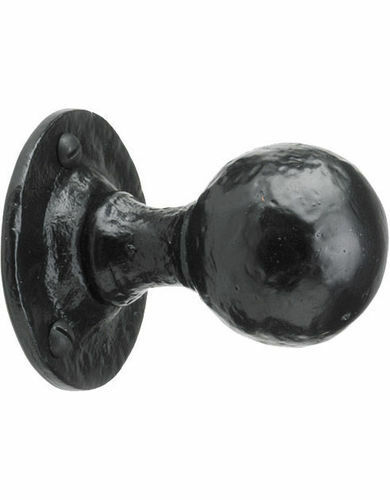 Ironmongery is popular for the creation of reliable and secure items of hardware including door handles for both domestic and industrial use. An ironmonger has the choice to create a range of door furniture including hinges, locks, handles and door knockers, just like our range here at TBKS. Does Black Iron Rust Easily? Some English made black iron is treated in the manufacturing process to reduce the amount of carbon in the metal, which reduces the metal’s susceptibility to rusting. The black paint applied to black iron will provide a limited degree of protection, although in areas where there are moving parts or the likelihood of chipping. The paint can be worn down due to frequent use which will expose the metal below. However as long as it is properly maintained, black iron rust can be limited which will prolong the life of the product. 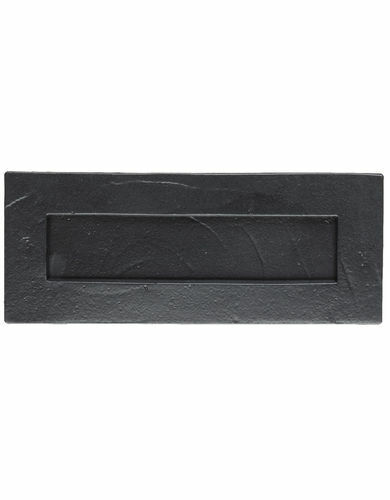 Where a black iron product such as a letter plate is exposed to a harsh environment such as sea air, TBKS recommends that the item is sheradised. This process is free from hydrogen and will in essence galvanise the iron piece before it is painted, ensuring that it will not rust. Sherardising is perfect for small pieces and parts that need a protective coating. However if the metal surface does not feature scale or oxides, then no pretreatment is necessary. At TBKS we always recommend that consideration is given to the ironmongery early on in the build or renovation process so that a client will be able to budget for their ironmongery choice. To browse our full range of black iron, please click here.